News :: GBA 2 Release Parties Announced! We’re lucky to be celebrating this record twice at two of the best venues in the City! Then on Thursday February 5th we are at Bowery Ballroom with Francis and the Lights, Savoir Adore and The Bloodsugars! 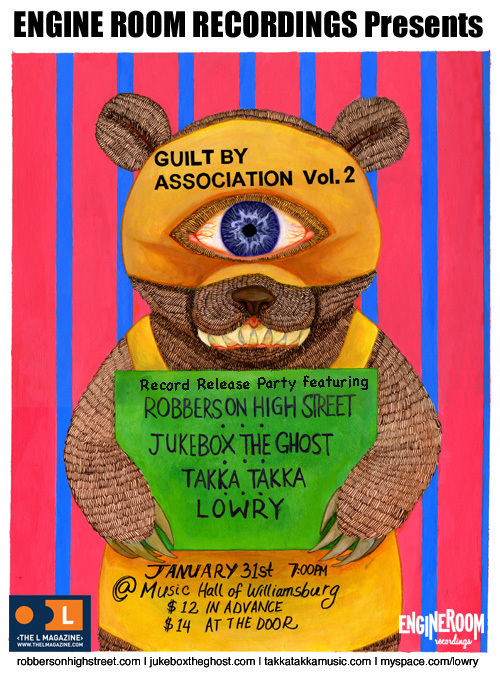 News :: Guilt By Association Vol. 2 Is Here! Folks, it’s time! Guilt By Association Vol. 2 is here. Pitchfork just announced its release and hits the nail on the head! For round two, the comp seems to have evolved from a collection of covers of guilty pleasures to an unabashed celebration of pop, probably since nobody should ever feel ashamed for liking something (unless that something is Ted Nugent in 2008). (Full article here.) Stream the whole record below and hit the iTunes button on the player to make it yours! Ithentic has just announced they will be featuring our Guilt By Association video for Devendra Banhart‘ cover of ‘Don’t Look Back In Anger’. The video was directed by Andy Cahill and can be found here! 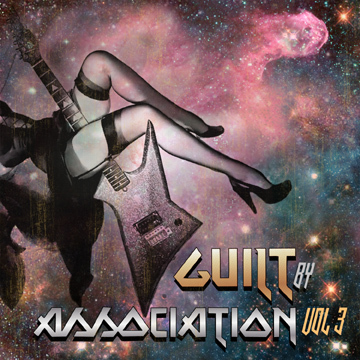 Our little Guilt By Association record came out this week and is currently #2 in the Indie Music/Rock category and #9 in Rock Compilations. 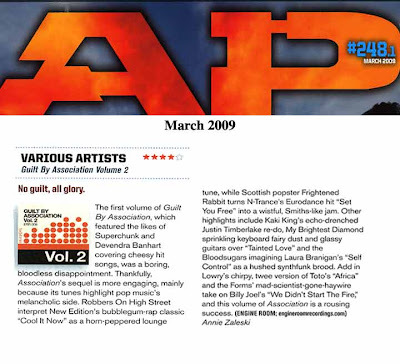 The nice folks over at AOL Music’s Spinner have selected Guilt By Association as one of this week’s releases they preview in its entirety! 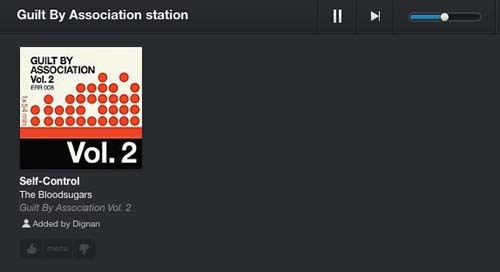 Go here to listen!